Identical to our catless downpipe kit for the V8 Bi-Turbo engines, this version employs high-flow steel catalysts and also offers truly bolt-on installation. 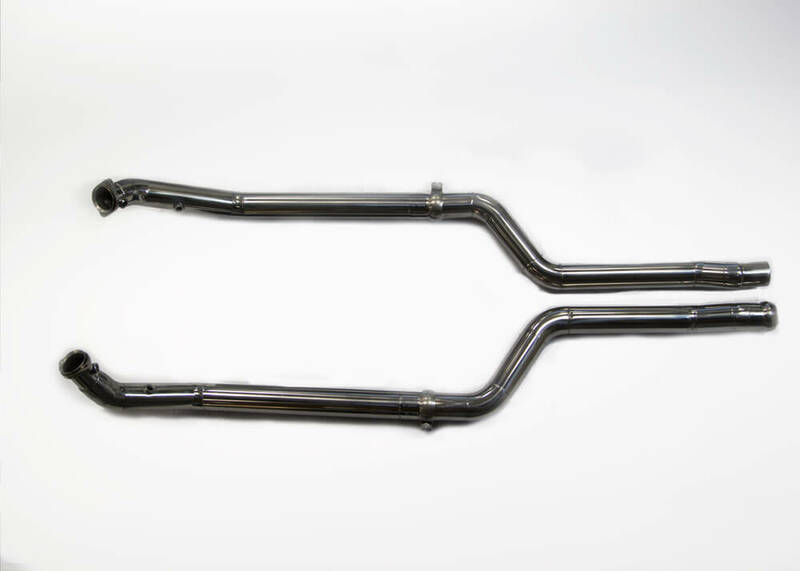 304 stainless steel, smooth mandrel bends and precision TIG welds improve exhaust flow and provide a more aggressive exhaust note. An ECU Upgrade is a must in order to keep off the MIL Light. (NOTE: These do not fit the M278 due to differences in flange sizes, but can easily be changed – even though AMG versions are larger).